Air Ambulance Worldwide is proud to provide superior medevac services to and from anywhere in the world for those in need. As a leading mobile intensive care provider in the air ambulance industry, we continually strive to set the bar for unparalleled safety and customer care standards. In fact, our flawless safety record and our adherence to the most stringent of medical protocol have earned us a number of prestigious recognitions, including an Argus Gold rating and a EURAMI accreditation. When you turn to Air Ambulance Worldwide for your medevac transportation needs, one of our dedicated flight coordinators will work with you to determine the best option to suit the patient’s specific medical condition. 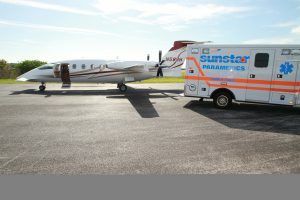 The medevac services we offer include air ambulance flights, medical escorts, and commercial stretcher equipment. Regardless of what service you or a patient in your care requires, you can trust that you are in safe and well-equipped hands. For more information on the number of medevac services we provide to and from anywhere in the world, contact Air Ambulance Worldwide today.